Would you like to bump your open rates, beat the new “Promotions” tab feature in Gmail and protect your downside when it comes to email? Dan Deyette is an email deliverability expert. He has a very unique skill that can be summed up very easily: Dan knows how to make the emails you send actually REACH your subscriber’s inbox. Because hey – if you haven’t optimized this stuff, you’re leaving cash on the table and under-utilizing your list. 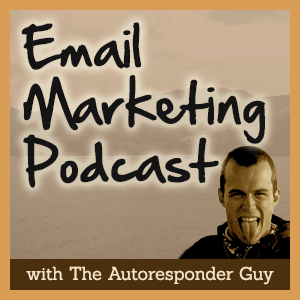 Hack your way into your prospect’s inbox with Dan’s tips in episode 22 of the Email Marketing Podcast. In a former life, Dan taught IM to college students. These days, he builds custom email servers for clients with enough traction to need it. how does email REALLY work? is email dead or more alive than ever? how many subscribers do you need before you upgrade to a private email server?